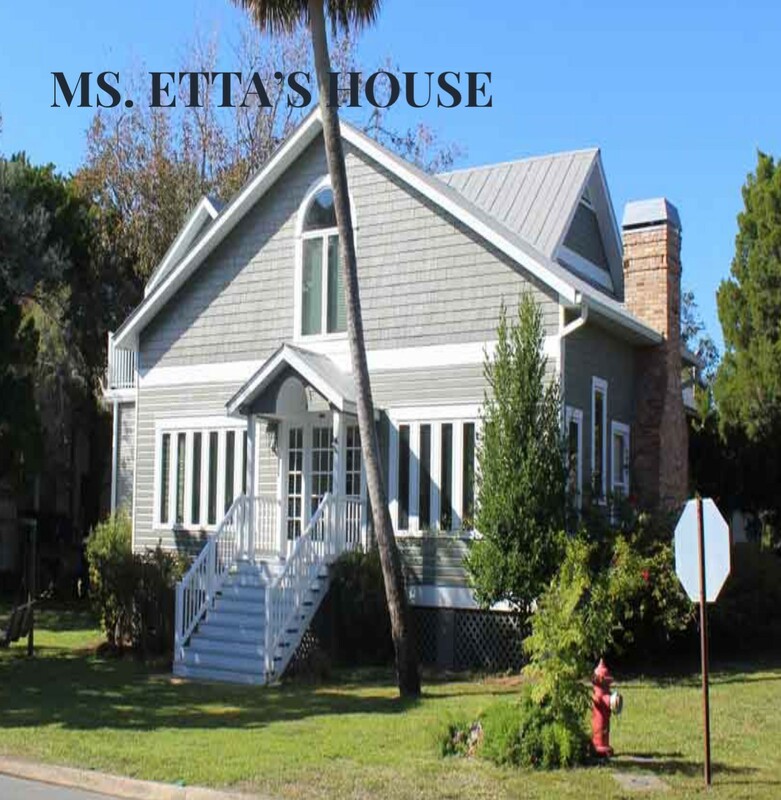 Located in the quaint town of Cedar Key, Ms. Etta's House is set one block off of Goose Cove on the Gulf of Mexico. After a fire in 1991, the house was rebuilt and is both comfortable and spacious, offering the peace and serenity of Cedar Key living to families and groups of friends, large or small. Capable of sleeping up to 12 people, this two-story home includes a private second-story apartment featuring a living area, full kitchen, laundry room, bathroom, and two bedrooms – just perfect for those who want their own privacy while still participating with the rest of friends and family on the main floor. The main floor has a large living room, three bedrooms and 2 ½ baths, a large dining room, and a spacious, fully equipped kitchen. Ms. Etta’s House will accommodate your large family vacation or family reunion and turn it into a memorable, fun-filled occasion. Ms. Etta’s House is fully furnished and “tech ready” for your relaxation and enjoyment. It is equipped with dual-zone central heat and air conditioning with separate thermostats on each floor and ceiling fans in the bedrooms and living areas. You can literally feel the tension drain out of you as you settle in to all the comforts of home in an environment which offers quiet, waterside walks and gorgeous sunsets only a few hundred feet away.